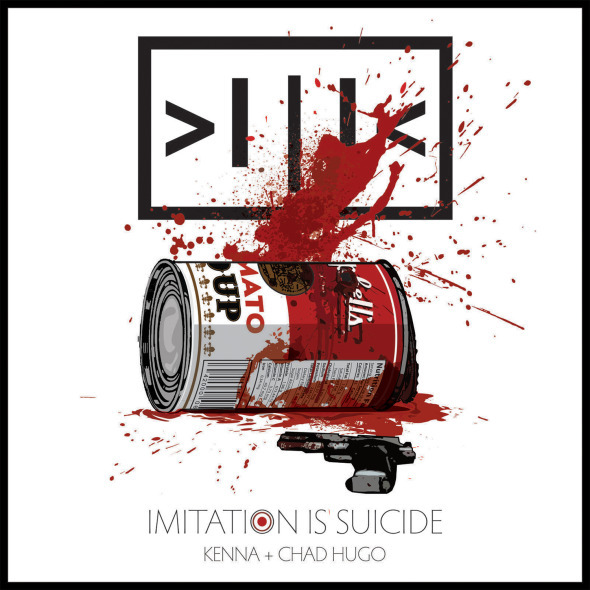 Grammy Award®-nominated artist Kenna drops Chapter 3 of his Imitation Is Suicide series. Produced by RJD2 (XL Recordings) the third installment is the most intense and dance-orientated of the series. Inspired by Ralph Waldo Emerson’s essay “Self-Reliance,” Imitation Is Suicide is unique three-part movement of EP’s with a brilliant mix of multiple genres spotlighting alternative, funk, R&B, rock, and hip-hop meshed with electronic and an encyclopedic knowledge of pop melodies. Kenna is a Grammy-nominated musician and philanthropist. He was raised in Virginia Beach, Virginia, where he became friends and career-long collaborators with Pharrell Williams and Chad Hugo. He has worked and toured with Justin Timberlake, Nelly Furtado, Mark Ronson, No Doubt, N.E.R.D and Depeche Mode's Dave Gahan, Mike Shinoda, Lupe Fiasco, and Santigold. He continues to create his own sound that has yet to be categorized and filed under any mainstream genre. He is defined only by his natural constitution to never be what you expect. In addition to his musical pursuits, when Kenna learned about the global water crisis affecting his home village in Ethiopia, he decided to create the SUMMIT ON THE SUMMIT project. In 2010 Kenna and his colleagues climbed Mt. Kilimanjaro to bring attention to the water crisis. Kenna developed a transmedia platform and 19,340 ft website with a game engine for fans and followers to participate virtually with the climbers. This concept, rooted in social media, was the first of its kind. The project generated 3 billion impressions, over 1,700 pieces of traditional press, and helped bring clean drinking water to thousands of people in his home country.